Home Staging 101: Get Your Home In Shape To Get Top Dollar Offers! Considering buying or selling a property? I am available to consult on all real estate related questions. Email me or call me! Check out this video that explains how the City of Boulder is implementing changes to the quickly growing vacation rental/short-term rental market. Things are changing. Here is what you need to know. 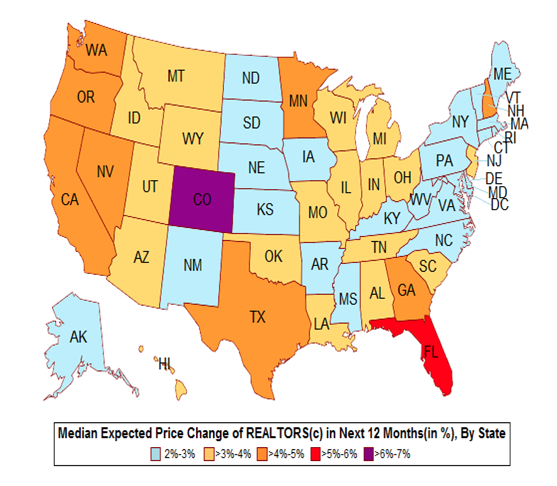 The Housing Market Realtor Growth Prediction Is Looking GOOD For Colorado! REALTORS® expect prices to increase over a range of two to seven percent, with the median at 3.4 percent over the next 12 months, according to the June 2015 REALTORS® Confidence Index Survey Report. The decision to buy a home is big. For most adults your home is your single largest investment. When is the right time to get out of the rental market and buy? An ingenious new interactive calculator model from the New York Times can help you compare and answer the question – Is It Better to Buy or Better to Rent? Click here to get to the calculator. This is a re-post of an article by Tom Kalinski on Thursday, March 13th, 2014. The full article can be found here. Bradley K. Tuttle’s Real Estate Update offers these tips for maximizing deductions as they relate to owning a home, so gather all paperwork pertaining to your home and get ready to find deductible expenses. For those who didn’t keep good records last year, now is the time to start: it’ll pay off in 2015 when tax time returns. A complete list can be found at www.irs.gov. Click on Forms and Publications. Money Saving Tip: How To Reduce Your Mortgage! There’s a simple trick to significantly reduce the length of your mortgage and save you thousands of dollars. 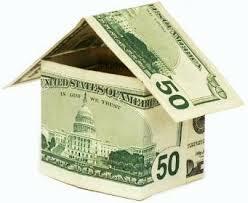 The trick is to make one extra mortgage payment a year and apply that payment toward your loan’s principal. This is the method being used by “Bi-Weekly Mortgage Reduction Services” and “Bi-Weekly Mortgage Savings Programs“, only, when you do it yourself, you don’t pay a third party unnecessary set-up costs and fees! Take a look at the charts that show you how you can save tens of thousands of dollars on your home. Click here for more details on how you can save money! Or head to www.janetleap.com/MortgageSavingTips. It is really simple and easy! 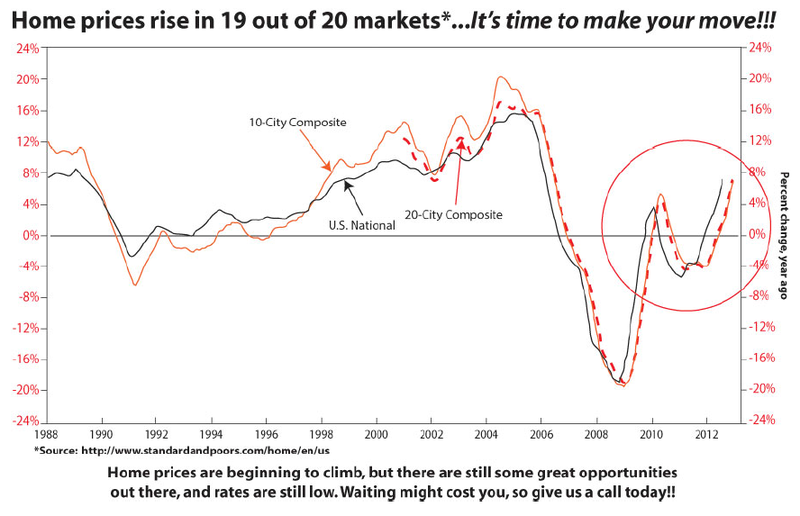 Home Prices Are On The Rise! Is It Time To Make Your Move? Home prices are on the rise. Interest rates are still low. It just might be the time you have been waiting for to make a move. If it is time to sell [or buy] let me know! Chart courtesy of Amanda and John Sessa of SWBC Mortgage.